I thought this may be an interesting addition to the Bottesford Guides articles. This is from the time when my mother, Charlotte Rewston, was Guide captain and myself her Lieutenant. 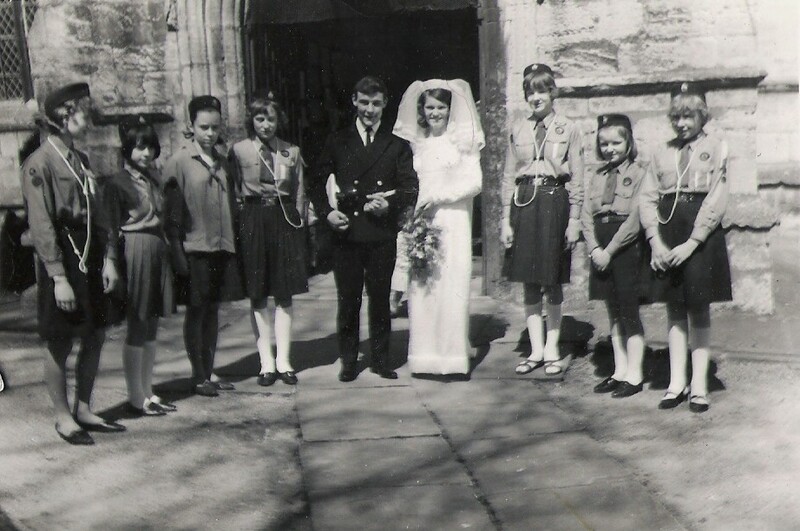 Taken on the day of our wedding, 30th April 1966, the Guard of Honour was a very special and pleasing surprise. It is interesting to note that the “new” uniform was just being introduced.